In the National Award-winning Tamil film Kaaka Muttai, young protagonists Ramesh and Vignesh dream of eating a pizza…and achieve it in the end. 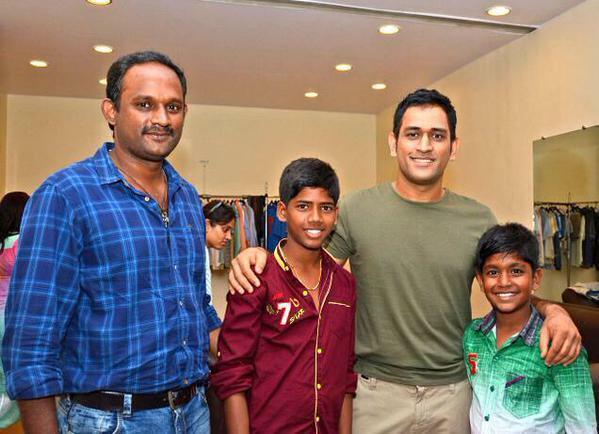 Their real-life dream, however, was to meet their role model — cricketer M.S.Dhoni. And that happened recently, thanks to the efforts of Fox Star Studios. The crickeers wants filmmakers in Tamil to release their films with subtitles. When 14-year-old Vignesh, one of the heroes of the film, said, “Namma ooru Kaaka Muttai ku periya whistle adingaa,” Dhoni wanted to know if he was a fan of the Chennai Super Kings. 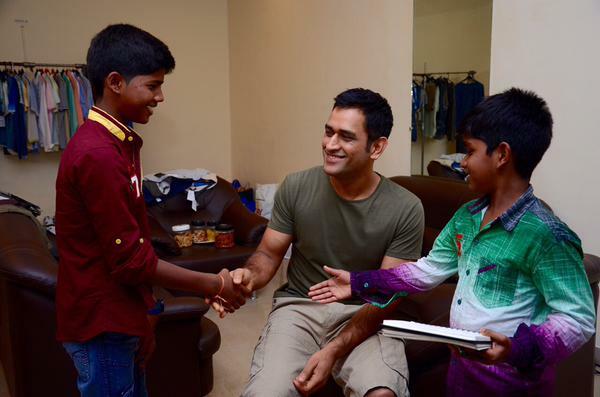 For the other hero, 12-year-old Ramesh, the hug that Captain Cool gave him was something to cherish. Dhoni, who has a connection with Chennai due to his experiences as captain of the Chennai Super Kings, was also curious about Tamil films and was eager to know about the kind of movies made in Kollywood. “He told us, ‘Tell all the filmmakers in Tamil to please release their films with subtitles. They’re all so good that people from across the country want to watch and understand them’,” adds Manikandan.